The newly released updated estimate ups the measured and indicated resource by 60 percent, to 21 million tonnes. 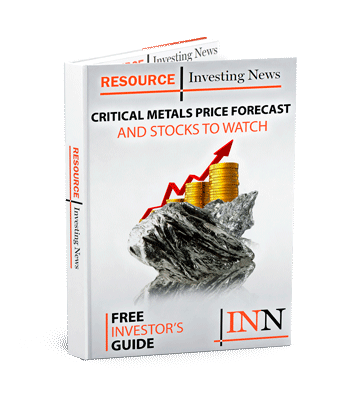 Critical metals explorer Mkango (TSXV:MKA,LSE:MKA) has released an updated mineral resource estimate for its flagship asset, the African Songwe Hill rare earth site. This is the first measured resource estimate for the Malawi-based project, which Mkango has been developing since 2015, when the initial prefeasibility study was conducted. The newly released, updated estimate ups the measured and indicated resource by 60 percent to 21 million tonnes. Mkango also moved the majority of the previously delineated near surface inferred resource into the measured and indicated category. The completion of the resource estimate was one of the company’s 2018 key objectives. There is currently an ongoing feasibility study underway at the rare earth project. Roughly 95 percent of the measured and indicated mineral resource blocks are less than 160m below the surface, demonstrating that the majority of the rare earth deposit will be accessible through open-pit mining. 60 tonnes of bulk sample material has also been collected from selected areas within the measured and indicated mineral resource for pilot metallurgical test work. Pilot testing will commence following export of the bulk sample and completion of ongoing metallurgical optimization. Mkango plans to publish the NI 43-101 compliant technical report on SEDAR within the next five weeks. Once the report is published, the next tranche of GBP 7-million funding will be released from Talaxis to fund completion of the feasibility study. The private company acquired a 75-percent stake in Mkango’s Songwe project in May of 2018 and has provided necessary funding to move the development along. The pair of companies has also agreed that they will be each other’s preferred partner for all rare earths projects, including all activities in Malawi. Mkango expects to complete the Songwe feasibility study by the end of 2019. On Monday (February 4), shares of Mkango sat flat in Toronto, trading at C$0.15. Meanwhile in London, the company’s stock was trading up 1.33 percent at GBX 9.50.